When Hurricane Harvey hit the Gulf Coast of Texas nearly three weeks ago, the entire country was laser-focused on responding to the crisis. 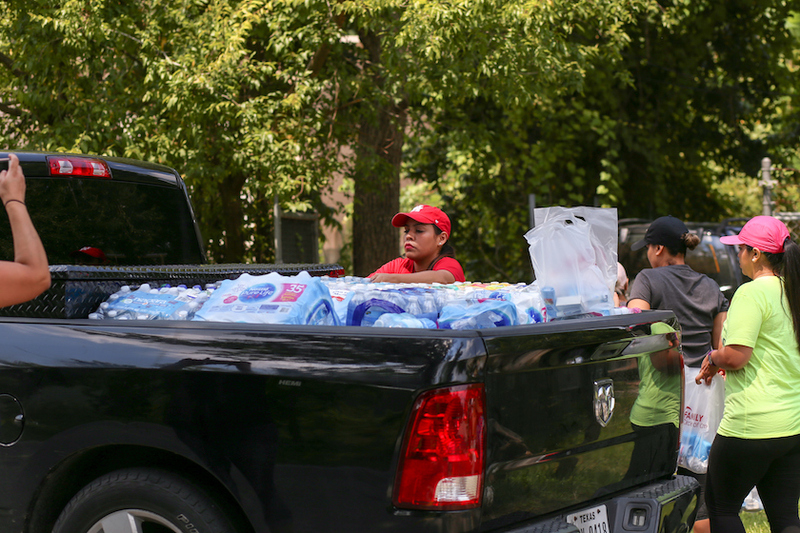 Families, mosques, churches, and schools sent their love to Texas in the form of food, water, clothing, diapers, and tools. As we’ve organized our response on the ground in Houston, one of the things I’ve been most impressed with is the way people step up and say “I can help” when crisis strikes. It’s humbling and inspiring to see communities show up in the midst of pain and destruction to ensure that today’s disaster does not become tomorrow’s reality. But what about when there isn’t a hurricane, or a war, or a national crisis? Who shows up in the day-to-day crises that strike in our cities and our neighborhoods every day? Who shows up for the single mother who lost her job on the “scary side” of town and can’t feed her kids? Who shows up for refugees or immigrants who need help learning English, navigating culture, or making ends meet? Who advocates for impoverished families who have no leverage to keep their landlord from taking advantage of them? We can’t only show up when the world’s eyes are on a crisis. We also need to show up when nobody’s watching. Whether we’re in Chicago, Grand Rapids, Nashville, or San Diego, there are people in our communities whose lives could be changed if we are willing to show up and love anyway. Find the people who are already doing the work. You know how people say everyone is only six degrees of separation from Kevin Bacon? One of the things I’ve learned during my time here in Houston is that the people who are out getting stuff done are like Kevin Bacon. You’re never more than six degrees away from them. You just have to keep digging, keep connecting, keep making phone calls until you find them. Whether it’s a community organizer, the pastor of a small church, or the owner of the bar on the corner, there are leaders in every community that get stuff done. They know the community and its needs intimately and they have a plan to change the trajectory for families in crisis. Normally all they need is someone to partner with them, provide resources, or hit the streets with them. They need someone to show them they are not alone. The last thing the world needs is more people showing up from out of town telling others what they need. The hard work of remaking the world always starts with listening, so find the people who were already listening—even before the crisis struck. Don’t be afraid to call the people and/or organizations that are already serving and ask them how you can help. Local organizations are normally short-staffed and low on cash. By asking what they need first, you may find an effective way to help and learn a lot in the process. Many people who are working hard in the lost and forgotten places of the world just need someone to see them, validate them, and come alongside them. Do whatever they need and humbly serve in whatever way you can. It is easy to get discouraged and overwhelmed by the systemic and personal problems plaguing our communities. But don’t give up. When you feel like you’ve hit a dead end in your attempt to remake the world, just keep digging, keep picking up the phone, keep making connections, keep listening. And most importantly, keep showing up. Even without a hurricane.